Hubspot recently posted the list below of some of the most commonly used social media terms and I make no apologies for repeating it below as it is useful for everybody. The Social Media scene changes quite rapidly with new and sometimes innovative ways of both using and benefitting from it. The launch of Google+ and more recently Google+ brand pages to compete with Facebook is only two of the most significant. MarketMeSuite, social media management tool, originally a paid subscription platform became free (check it out as it works very well) and others such as Buffer which enables browsers to both post and schedule interesting content found on the web with their fans and followers, are just another two tools to help marketers increase their visibility and reach. BackType – BackType is a social media analytics company that helps companies measure their social engagement. Previously, the service started as a blog comment search engine. Bitly – Bitly is a free URL shortening service that provides statistics for the links users share online. Bitly is popularly used to condense long URLs to make them easier to share on social networks such as Twitter. Boxee – Boxee is a social video application that allows users to watch online videos on their TVs and computers. Users can share and watch videos from a variety of online videos sources for free. Facebook – Facebook is a social utility that connects people with friends and others who work, study, and live around them. Facebook is the largest social network in the world with more than 800 million users. Forums – Also known as a message board, a forum is an online discussion site. It originated as the modern equivalent of a traditional bulletin board, and a technological evolution of the dialup bulletin board system. Gowalla – Gowalla is a social network in which friends share their locations and connect with others in close psychical proximity to each other. HootSuite – HootSuite is a web-based Twitter client. With HootSuite, you can manage multiple Twitter profiles, pre-schedule tweets, and view metrics. Instagram – Instagram is a photo sharing application that lets users take photos, apply filters to their images, and share the photos instantly on the Instagram network and other social networks like Facebook, Flickr, Twitter, and Foursquare. The app is targeted toward mobile social sharing, and in just over one year, it has gained almost 15 million users. Currently, it is only available for iPhone devices. Klout – Klout is a measure of social influence. The service allows users to connect various social accounts such as Facebook, Flickr, YouTube, etc., and then provides every user with his or her Klout score. The score is out of 100–the higher the score, the more inlfuence you have on the social world. Lifecasting – Lifecasting is a continual broadcast of events in a person’s life through digital media. Typically, lifecasting is transmitted through the internet and can involve wearable technology. Link Building – Link building is an aspect of search engine optimization in which website owners develop strategies to generate links to their site from other websites with the hopes of improving their search engine ranking. 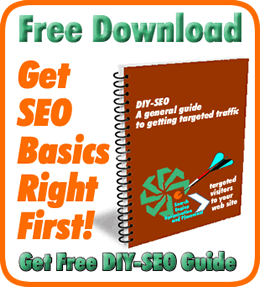 Blogging has emerged as a popular method of link building. MyPunchbowl – MyPunchbowl.com is a social network that facilitates party planning and provides members with ideas, invitations, favors, gift registries, photo/video sharing, and more. Qik – Qik is an online video streaming service that lets users stream video live from their mobile phones to the web. Search Engine Optimization – Search engine optimization is the process of improving the volume or quality of traffic to a website from search engines via unpaid or organic search traffic. 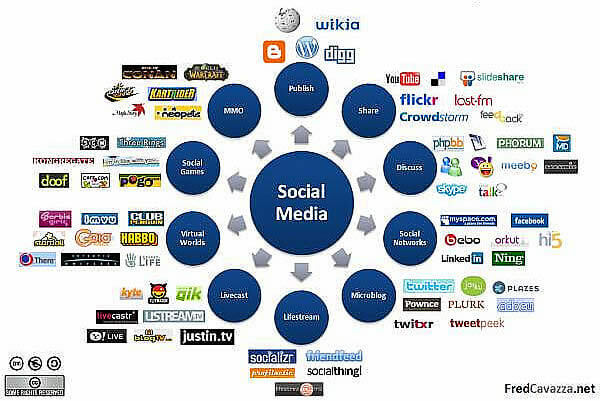 Social Media – Social media is media designed to be disseminated through social interaction, created using highly accessible and scalable publishing techniques. Timeline – Timeline is the new Facebook format for personal profiles. It is essentially a digital scrapbook of a user’s life, displaying their profile in an actual timeline format so they can see at exactly what point in time something a story occurred. Trend – A trend is seen on every social network. Facebook shows what is trending when multiple users are sharing the same link or discussing the same topic. Google+ highlights trending topic when a user conducts a search. Twitter has a section to the bottom right of its home feed which clearly shows what topics and hashtags are trending in tweets. And LinkedIn shows what industries (in LinkedIn Today) that a certain story is popular. Tumblr – Tumblr lets users share content in the form of a blog. Users can post text, photos, quotes, links, music, and videos from your browser, phone, desktop, or email. TweetDeck – TweetDeck is an application that connects users with contacts across Twitter, Facebook, MySpace, LinkedIn, and more. Tweetup – A tweetup is an organized or impromptu gathering of people that use Twitter. Twitter – Twitter is a platform that allows users to share 140-character-long messages publicly. User can “follow” each other as a way of subscribing to each others’ messages. Additionally, users can use the @username command to direct a message toward another Twitter user. Twitter Chat – A Twitter Chat is a chat or discussion that is held on Twitter and is open to all users. Questions are prompted from the user hosting the chat, while anyone else can respond using a particular hashtag. The hashtag is the marker for someone participating in the chat. HubSpot has its own chats hosted every other Tuesday via the hashtag #inboundchat. Twitter Search – Twitter Search is a search engine operated by Twitter to search for Twitter messages and users in real time. TypePad – TypePad is a free and paid blogging platform similar to Blogger. It allows users to host and publish their own blogs. Unconference – An unconference is a facilitated, participant-driven conference centered on a theme or purpose. The term “unconference” has been applied, or self-applied, to a wide range of gatherings that try to avoid one or more aspects of a conventional conference, such as high fees and sponsored presentations. USTREAM – USTREAM is a live interactive broadcast platform that enables anyone with an internet connection and a camera to engage and stream video online. Video Blog – A video blog is a blog the produces regular video content often around the same theme on a daily or weekly basis. An example of a successful video blog is Wine Library TV. Viddler – Viddler is a popular video sharing site similar to YouTube and Vimeo in which users can upload videos to be hosted online and shared and watched by others. Vimeo – Vimeo is a popular video sharing service in which users can upload videos to be hosted online and shared and watched by others. Vimeo user videos are often more artistic, and the service does not allow commercial video content. Viral Marketing – Viral marketing refers to marketing techniques that use pre-existing social networks to produce increases in brand awareness or to achieve other marketing objectives through self-replicating viral processes. Web Analytics – Web analytics is the measurement, collection, analysis, and reporting of internet data for purposes of understanding and optimizing web usage. Webinar – A webinar is used to conduct live meetings, training, or presentations via the internet. Widget – A widget is an element of a graphical user interface that displays an information arrangement changeable by the user, such as a window or text box. Wiki – A wiki is a website that allows the easy creation and editing of any number of interlinked web pages via a web browser, allowing for collaboration between users. Wikipedia – Wikipedia is a free, web-based, collaborative, multilingual encyclopedia project supported by the non-profit Wikimedia Foundation. Its millions of articles have been written collaboratively by volunteers around the world, and almost all of its articles can be edited by anyone with access to the site. Yammer – Yammer is a business communication tool that operates as an internal Twitter-like messaging system for employees within an organization. It is used to provide real-time communication and reduce the need for e-mail. Yelp – Yelp is a social network and local search website that provides users with a platform to review, rate, and discuss local businesses. YouTube – YouTube is a video-sharing website on which users can upload, share, and view videos. Three former PayPal employees created YouTube in February 2005. In November 2006, YouTube, LLC was bought by Google Inc. for $1.65 billion, and is now operated as a subsidiary of Google. YouTube is the largest video sharing site in the world. Zoho – Zoho is a suite of online web applications geared toward business productivity and collaboration. Zooomr – Zooomr is a online photo sharing service similar to Flickr. Do you know of any others that are missing? Leave comment below.